Established in 1988, Semco Distributing is the largest distributor of natural stone in the Midwest. Located in Missouri near the Mississippi River, Semco lies in the heart of limestone country. Local quarries, Cedar Ridge and Blue River, provide bountiful harvest with two distinctively different limestones. Semco’s yard occupies 60 acres with an abundant inventory of natural stone varieties, a state-of-the-art fabrication facility, along with sales and corporate offices. 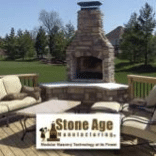 Our product offerings includes landscape stone, a variety of retaining wall stone, natural and man-made paving materials, water gardening supplies and landscape accessories. Semco is also the producer and distributor of natural building stone veneer stone, including full and thin sawn. For over 60 years, Reading Rock has built a reputation for excellence, which is manifested in the pride we share in what we do every day. We expect exceptional execution in each delivery and we accept nothing less. In fact, we stand behind every product and service we deliver to our customers. Our unwavering commitment to operational excellence translates to quality that cannot be matched in the industry. Reading Rock’s manufacturing facilities combine state-of-the-art technology with unmatched experience among our machine operators and foremen. We take great pride in our commitment to quality control in the manufacturing of our products, always exceeding American Society for Testing and Materials (ASTM) standards. Many companies claim to provide quality products, but Reading Rock has developed a proprietary program to deliver on our promise. A FREE site that has hundreds of patio/outdoor living plans and how-to articles that are absolutely free to use. Most of the plans utilize Reading Rock's line of products and even gives you a materials list to give you everything you need to get started. Look around, inspiration is only a few clicks away! We are a leader in new product innovations in color and style options using the retaining wall products in the AB® Collection and AB Europa® Collection. At Allan Block, we believe the same qualities that made segmental retaining walls a success will continue to make our other mortarless products successful in the future. For over twenty years, Allan Block has been helping landscape and construction professionals build better walls and fences. With millions of square feet of Allan Block in the ground, we can deliver the quality and performance you need. Our wide range of products allows you to be creative, efficient, and confident on every job. The construction of the old-fashioned masonry fireplace is becoming a lost art. Over the past 25 years pre-fab metal fireplaces have taken the place of the old fashioned style masonry fireplace. The industry has sacrificed longevity and quality for convenience and cheaper prices. In response to that challenge we have developed a product with durable all masonry construction, easy assembly, and affordable pricing. Our advantage over the competition: Our product will stand up to the harsh elements of any outdoor climate. Our firebox will not rust or rot out. A Stone Age Fireplace offers you a lifetime of use and enjoyment with the least amount of maintenance of any fireplace on the market. “The Science is in the Seed™” is the approach EarthCarpet™ takes to show you what the secret is to curb appeal. Each tiny grass seed contains DNA with its own genetic code for certain traits like disease resistance, wear & drought tolerance, dark green color, fine leaf texture, etc. EarthCarpet™ carefully selects and blends these seeds in combinations designed to give you the type of lawn you’re looking for. Once you choose EarthCarpet™, you will sweat less and enjoy your lawn more. Indy Bubbling Boulders specializes in providing landscapers with top of the line products and top notch services to make adding bubbling boulders to landscapes easy and stress free. Bubbling boulders are a great water feature for landscapes. They are easy to install; require very little maintenance for home owners; and are safe for pets and children to enjoy.